Why Choose a La Cornue Range Cooker? La Cornue represents all that is glorious about France and the French culinary tradition. These outstanding cookers will bring a mouth watering focal point to your home whilst raising your culinary repertoire to new heights. In this blog post we explore how La Cornue leads the field when it comes to design, heritage, uniqueness, culinary performance and technology. La Cornue range cookers exhibit timeless style and summon an expression of truly refined taste, combining authenticity and modernity. With a design patented in 1908 and inspired by the Paris metro, the unique shape of the vaulted gas oven allows air to circulate naturally and evenly around dishes, quickly forming a crisp outer layer that acts like a protective shell, locking in the natural juices and intensifying flavours. But innovation didn’t stop there, and the all-new G4 vaulted ovens with exclusive technology were patented in 2014. The quintessentially French family firm of La Cornue have been making these masterpieces of culinary design for more than a hundred years. In 1908, in the heart of Paris, Albert Dupuy premiered the world’s first convection oven. At the time, most ovens were mere flat-topped cavities that held racks suspended over a fire. The majority of people simply considered cooking to be heating food to eat. But Dupuy pondered: “What does it really mean to cook?” He developed his oven with a vaulted ceiling to usher heat around the food, rather than trapping it to burn beneath. Dupuy christened the oven La Cornue after the French term cornue – the system for refining the gas that warmed the new creation. 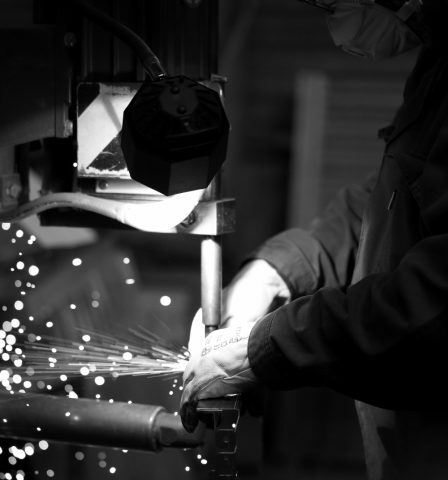 For over 100 years, La Cornue has continued to build upon Albert’s initial convection innovation. They’ve expanded the design, introduced new styles, but still maintain that it’s all done for one reason, and one reason only: the pleasure of the customer. La Cornue ranges are works of art: individually made in Paris, to the highest specification, they are as unique as each owner, and therefore something quite extraordinary. 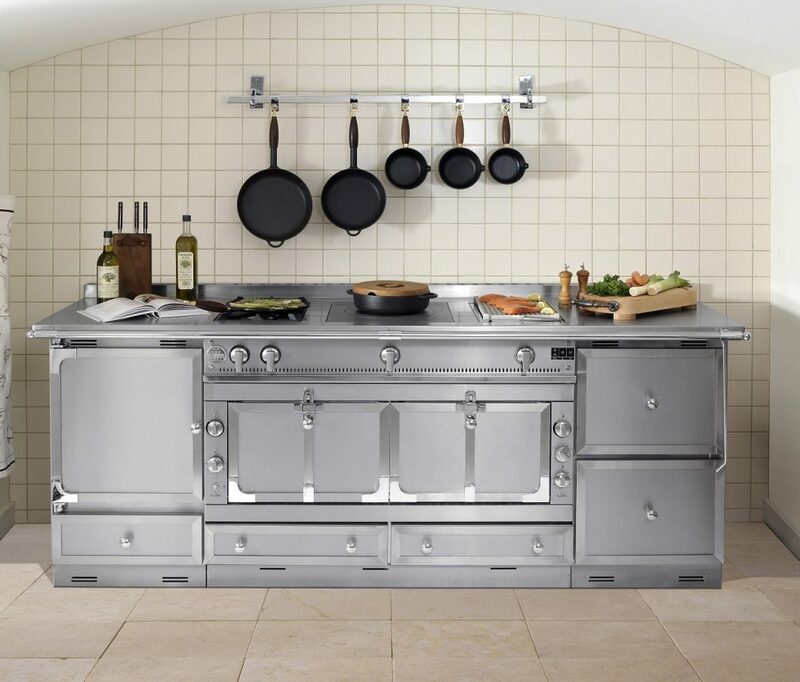 With La Cornue anything goes in terms of customisation: each cooker is created bespoke and put together piece by piece. They can come in any colour under the sun. The expertise of the craftsmen, the choice of materials, the commitment to beauty in every detail, the highly advanced techniques and the constant enhancements mean exceptionally crafted and personalised products, designed to bring their owner’s culinary creations to life. 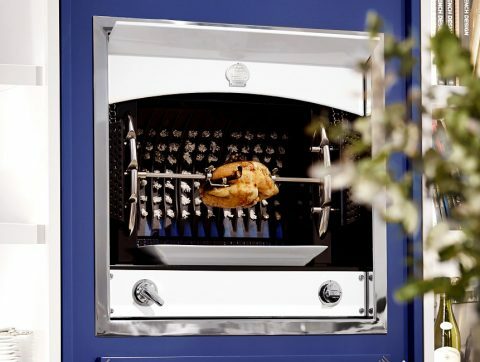 The La Cornue Oven is the cornerstone of the company’s expertise, combining traditional style with the latest technology to ensure outstanding cooking results. For elite cuisine and lovers of fine food, indulgence and gastronomy it’s an unbeatable product, with the innovative gas vaulted oven much less drying to food. Whether you want to braise, roast, cream, stew, slow-cook, simmer, fry, poach, caramelise, flambé, sauté, steam or toast the La Cornue won’t disappoint. With a choice of three superb La Cornue Range Cookers aimed to match different budgets, there is something for every enthusiastic cook – from the prestigious La Cornue Chateau Series through to the mid-range and more contemporary La Cornue Cornufé 110 and its baby brother, the Cornufé 90 ‘Albertine’. La Cornue nurture a continuing quest for perfection and performance in cooking techniques and innovation continually moves on. All La Cornue gas ovens are now fitted with an RCC disk (Radiation, Convection and Conduction) to ensure food is evenly cooked and even more flavoursome. The new G4 electric oven has undergone several improvements, offering the choice of several cooking methods for every kind of baking. Benefits include a faster warming oven and improvements to cooking performance – meaning that there are no limits to the delicious dishes you can produce. For a brand which is grounded, yet forward-thinking, traditional, yet cutting-edge, culinary-focused, fueled by creativity and beaming with paternal pride over every elegant range they produce, it’s got to be La Cornue. Create masterpieces in the kitchen as well as a kitchen masterpiece with this unique product. Browse our website or visit our destination showroom in Exeter to find out more about this unique, luxury range cooker.